Our office offers options for people that may struggle with weight problems. By offering nutritional advice and products that cleanse the body by detoxing it from the environmental toxins and artificial poisons that we are exposed to in our modern life. 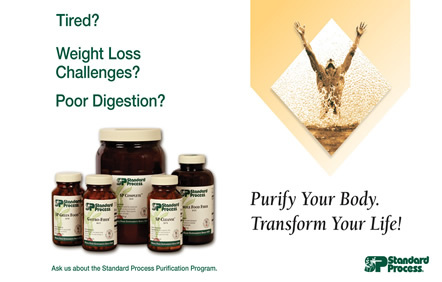 Take a look at the following link for an example of our flag ship detox, The Standard Process 21-Day Purification System.